The bikini swimsuit was named after a U.S. nuclear testing site in the South Pacific called Bikini Atoll. The first ocean liner with a swimming pool was the Titanic. The world’s largest swimming pool is 3,324 feet long. 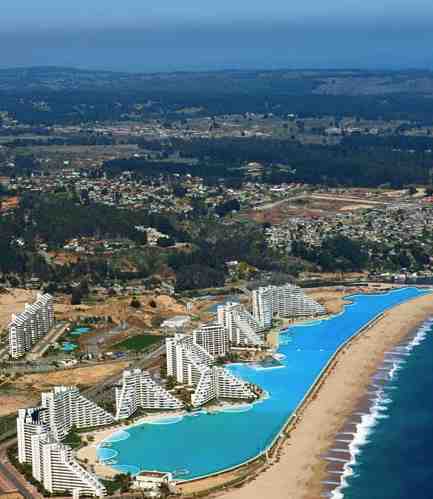 It can be found at the San Alfonso del Mar resort in Algarrobo, Chile. It holds 66 million gallons of water and is 20 times longer than an Olympic-sized swimming pool! It cost more than $1.6 billion dollars to build!!!! So there we have it – some fun facts that our tired brains were waiting for to perk us up!! !